When this couple's cruise to Mexico last week was cancelled due to the H1N1 scare, they were very disappointed especially as their 4 year old had been looking forward to this family holiday for weeks. 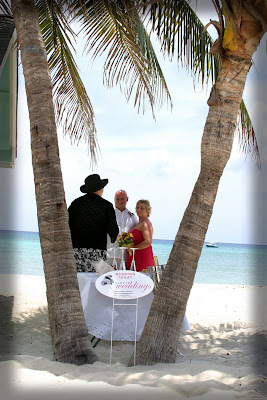 Fortunately for them, the cruise company put them on a cruise which included a two day stop in Grand Cayman, and they called the Cayman Cruise Wedding specialists. Although I was already booked for the day, I couldn't disappoint them. 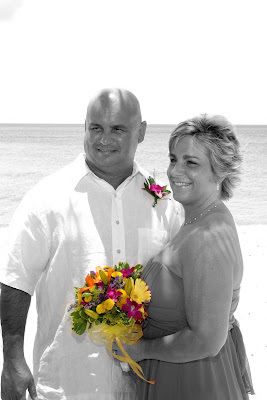 I was happy when they told me that their Grand Cayman wedding was all they could have hoped or imagined. As the old adage says, "every disappointment is not a misfortune", and this family certainly enjoyed what the island has to offer. All smiles for their tropical beach wedding. ...close your eyes and make a wish...then kiss. Rescuing the cork, kids love to find the cork. If there are no children present, then the best-man or witness has to find it, and if this means getting into the water...well, you could wait around for the surf to wash it up. 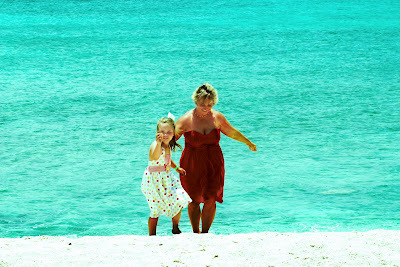 One of many family shots all over the beach, on the pier at Blue Water Beach etc. For an event as special as this, trust the specialists. We have been celebrating visitor weddings for the past 25 years, and if anyone can make it happen, we can! 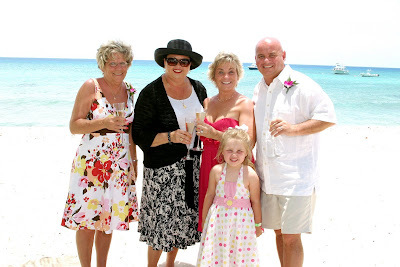 Call today to book your intimate family wedding on one of Cayman's spectacular beaches or see my All-inclusive Cruise Wedding package at www.cayman-islands-weddings.ky. Want to surprise your spouse with a Wedding Vow Renewal ceremony? Let me help you plan a ceremony which will touch the heart and create an unforgetable memory. 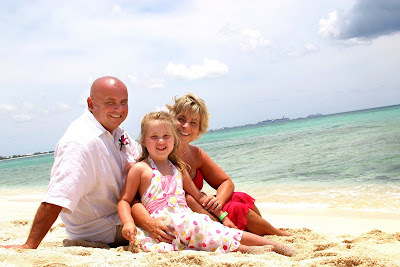 Have you dreamed of your wedding pictures on a tropical island? If your wedding was a civil ceremony let me show you my Wedding Blessing package for couples married less than two years. Call me today (345)5256551 or (345)9269933.